Over the past several weeks we’ve seen tons of photos that supposedly show the iPhone 6’s components. However, this is the first time we’re seeing those parts assembled to form a single, cohesive iPhone 6 model. Feld & Volk, a company that makes luxury modified iPhones, has published photos that reportedly show the front panel and rear shell of the iPhone 6 assembled together. MacRumors first spotted the images. 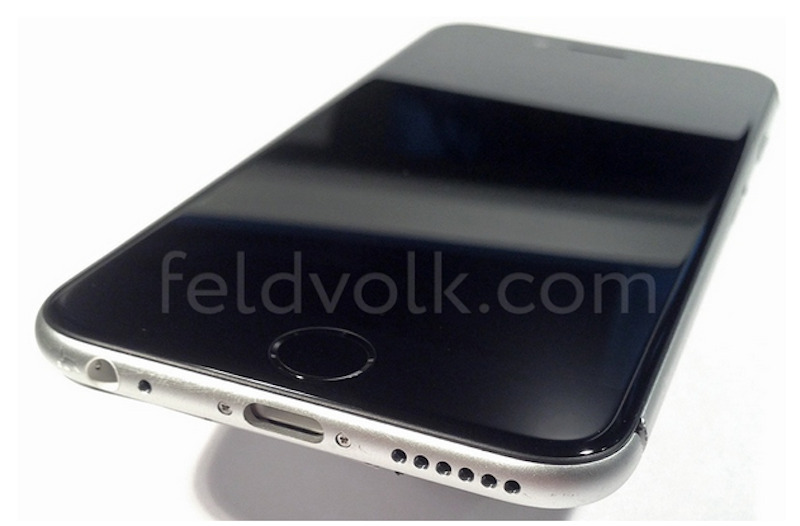 If the parts are legitimate, this could be our clearest look yet at the iPhone 6’s design. It’s important to note that there’s no telling whether or not these images are real, so it’s possible the iPhone 6 could look entirely different when it launches. Feld & Volk’s components are said to be unfinished versions of what will appear in Apple’s final product. Even still, the parts shown in the photos are consistent with previous leaks that have been floating around the web for months. The most obvious physical change is the redesigned body, which features curved edges that are thinner than those of the iPhone 5s. Here’s what the iPhone 6 could look like from the front. And here’s a closer look at the bottom. Notice the redesigned speaker grills. The curved edges make the iPhone 6 look a bit like the iPad Air. Here’s a side profile of what the iPhone 6 may look like. The elongated volume buttons have also shown up in previous leaks. Apple is expected to officially unveil its next iPhone in early September. Other than a new design, the iPhone 6 may come with a larger 4.7-inch screen that’s a bit sharper than the current model. It will also come preloaded with iOS 8, Apple’s newest software for iPhones and iPads.